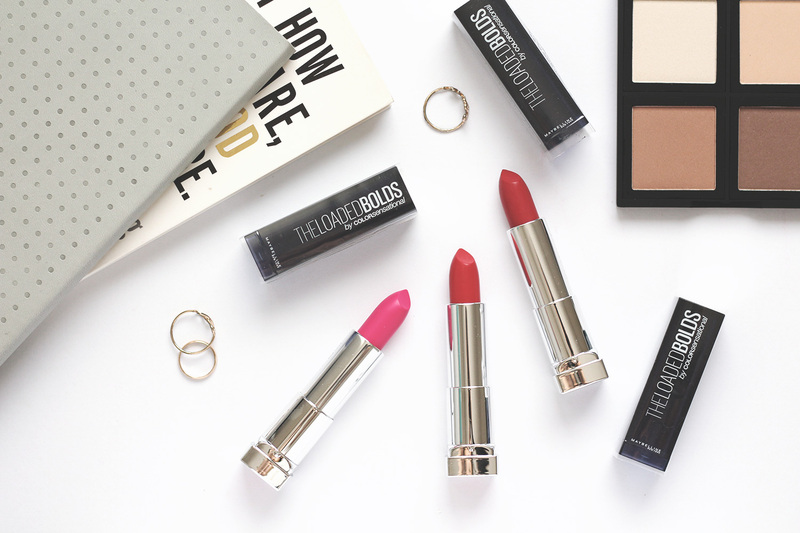 Maybelline the Loaded Bolds range comes in the exact same packaging with the rest of original Color Sensational lipstick range unless for the outer packaging color. The packaging is a simple one made from sturdy plastic materials that are slightly transparent in deep blue color. An unusual color selection for a lipstick packaging if I would say but since this collections is all about 'weird' color so why not? You can easily differentiate each shades from the sticker attached on the bottom of the packaging. I personally love the arrangement of their range name and logo but apparently they put it on the outer plastic wrap instead of directly onto the packaging. As I'd mentioned before, The Loaded Bolds series comes in 12 different bold shades which vary in red, pink, purple hues with additional extreme color such as Audacious Blue, Wicked White, and Pitch Black. I think this is a great option if you're about to do an editorial shots or character makeup. Here are the shades that I have : Fierce Fuchsia, Dynamite Red, and Smoking Red. Bright fuchsia color with strong combination of pink and purple hues. Bright red color with warm-orange tone. Bright red color with cool tone. 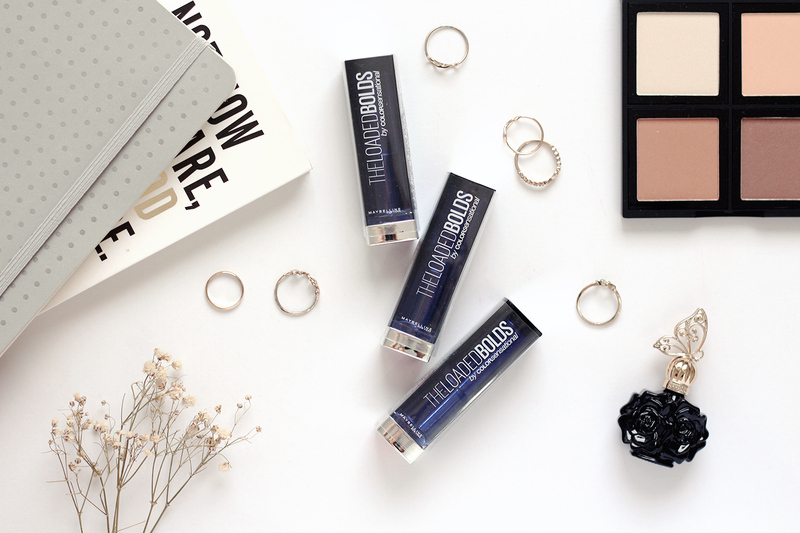 For the formula itself, it is extremely pigmented and glides smoothly. Most lipstick in unusual shades I'd ever tried before tends to be patchy or uneven upon application. Well, apparently Maybelline the Loaded Bolds Range are using hypercolor pigments + opaque base with creamy clay to achieve this crazy level of pigmentation. I didn't use any concealer or base underneath so what you see on the swatches above is the actual color. 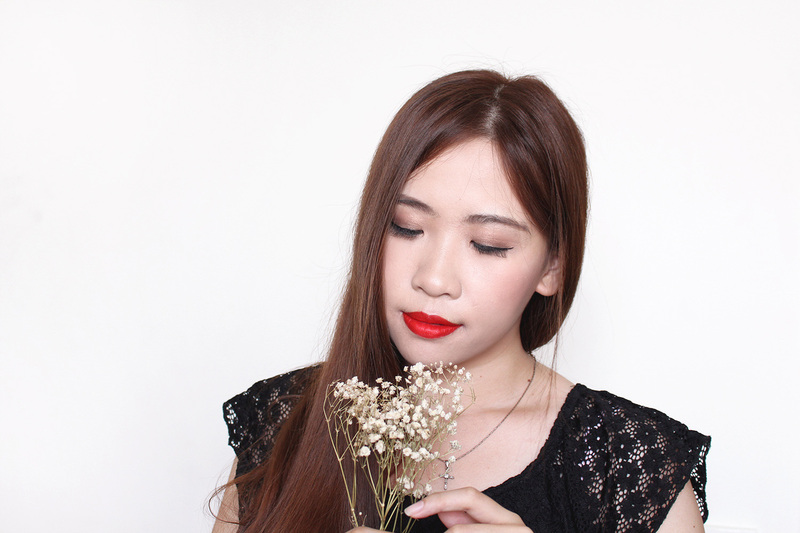 I also had no problem on applying this lipstick as the pointy tips helps me to create a smooth edge but if you want to achieve more precise application, feel free to use your lip brush or lip liner. Can you guess which one is my fave color? I love both Dynamite Red and Smoking Red as I think these red shades compliments my skintone but if I have to choose one, it would be Smoking Red for sure. I rarely wear bold colors for daily but I think it will be my perfect shades for evening or wedding party since the wedding season is just around the corner. 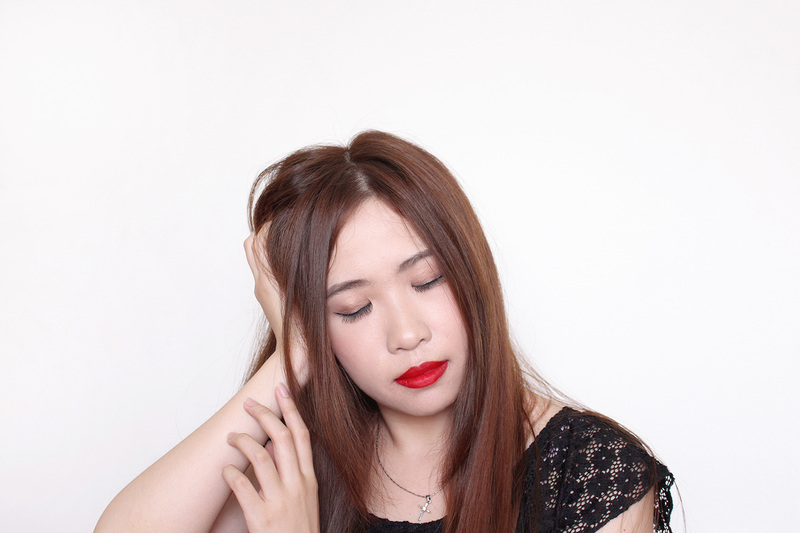 Red lips and black dress are the combination for an effortless look that never fails me. For the finishes, I thought it would be satin but apparently it turned into semi-matte after a couple of minutes. 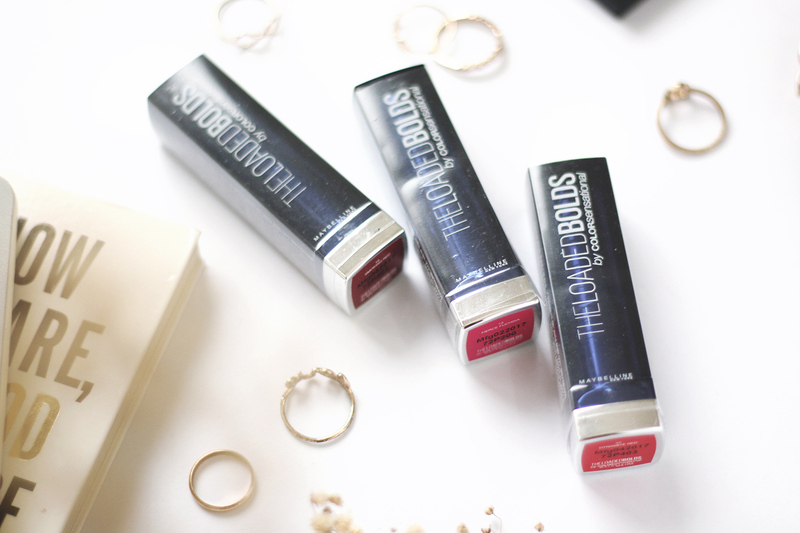 Maybelline the Loaded Bolds range are also enriched with sumptuous honey nectar to prevent your lips from drying. I once tried to put it on when I haven't properly exfoliate my lips but it still glides perfectly fine and not drying at all. 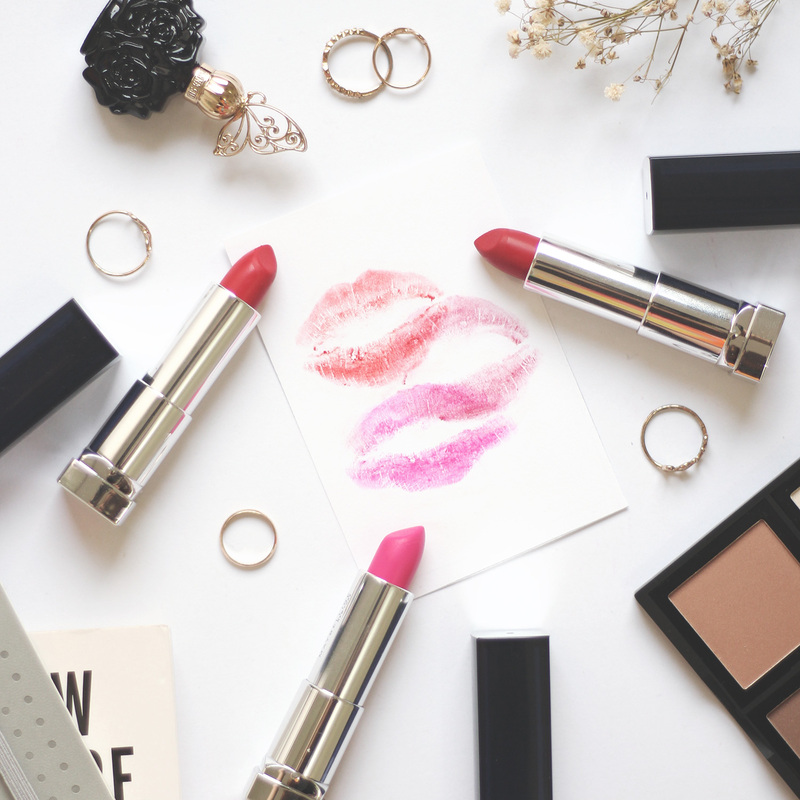 As bold lipstick color will easily stains, you might need to be careful while wearing these badass shades since it doesn't come in transferproof formula. It will also leave some stain behind after fading but I found the stain was pretty hard to remove. I had tried to remove it with makeup remover, cleansing oil and micellar water yet I still can see the remaining stains. Make sure to use a really good cleanser to wipe it off completely. If you're someone who love and ready to rock these crazy color, this Loaded Bolds range will be a great additional colors for your collection. 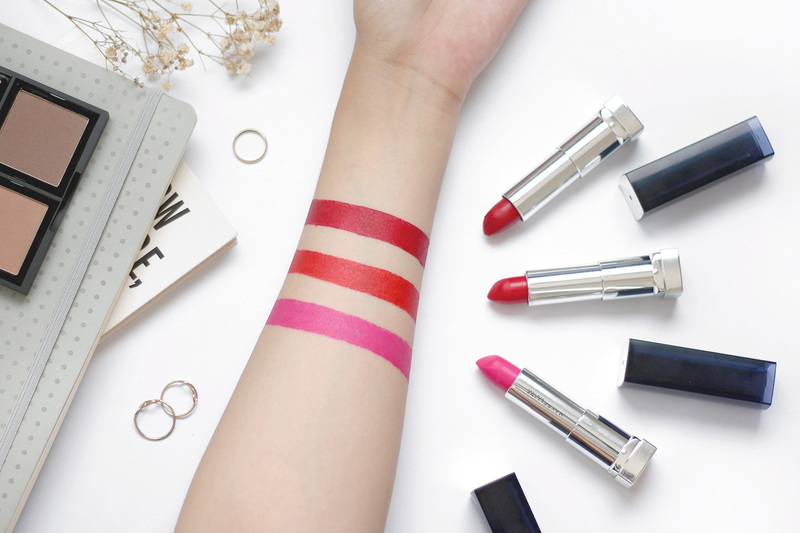 As for the price, I think the retail price Rp 105.000,00 for each lipstick is a decent amount for the quality that you will get. 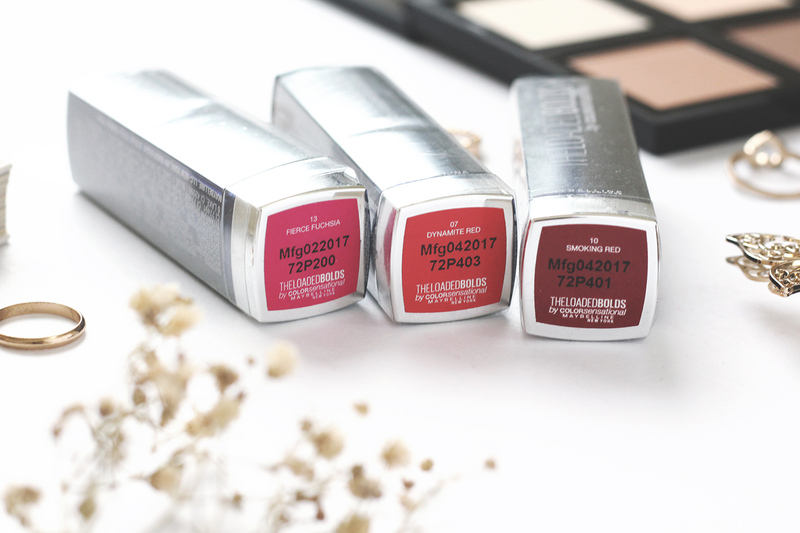 Maybelline the Loaded Bolds range is available at all Maybelline counter or you can make online purchase at Sociolla and enter my code SBNLAD39 to get Rp 50.000,- off for every purchase above Rp 200.000,-. Have you spot any fave color from this new collection?